SEMANTiCS 2018 will take place at the Hilton Waterfront Conference Hotel and at the premises of our regional host, Vienna's Technical University. Vienna is old, Vienna is new – and so diverse: from the magnificent Baroque buildings to “golden” Art Nouveau or the latest architecture. Vienna is packed with imperial history; at the same time it has exciting contemporary museums, lively eating and a vibrating nightlife, but also many quiet corners to explore. Have great days, visiting a top conference in one of the most charming cities in Europe. The house on the Danube, built in 1912 as a granary by the architects Karl Krepp, Fritz Mahler and Albrecht Michler on an area of ​​about 3,422 square meters is 140 meters long and 23.4 meters wide and 45.85 meters high. The storage facility had a capacity of 3,000 wagons and was state-of-the-art at the time. Automatic conveyors, eight mobile wagons, three mobile ship elevators, pneumatic grain lifters and several automatic scales enabled a production capacity of 50 tonnes per hour. From 1982, the building was empty and was rebuilt in 1986 by the architects Christoph Malmsten, Franz Requat and Thomas Reinthaller by about 36.3 million euros. The hotel was finally taken over by Hilton Worldwide in 2002 and got its present name, Hilton Vienna Danube Waterfront. We are happy to have this exquisite enviroment as conference venue for the core conference programme. The Gußhaus Campus has a long history dating bach to the holiday home of Ferdinand Fürst Lobkowitz and part of the 'Favorita' imperial summer residence to 1721. The 'Artillerie-Gußhaus', where cannonballs were once cast, was set up here in 1750, hence the names 'Gußhaus' and 'Gußhausviertel', which come from the German word for casting. Today, the Gußhaus consists of a historical, listed building at its core and several annexes that were added later, housing some of the workshops of the Institute for Testing and Research (TVFA) over the past few decades. 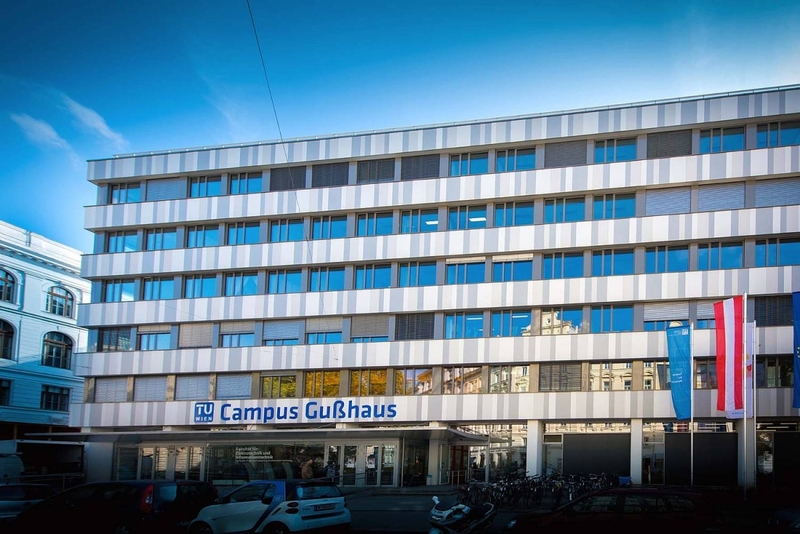 The SEMANTiCS Workshops and the DBpedia Day will be located in the new renovated premisses of the Gußhaus Building. Vienna is a stunning city for many reasons, so you might plan to come the weekend before the SEMANTiCS (or stay longer after the conference) to explore all the city has to offer: the culture, classical music scene, art, architecture, history and traditions, amazing coffee houses, its unique charm and atmosphere. If you are not aware of Vienna’s beauties, we have collected a few tips to help you get around.